From the smartphones in our pockets to the data centers and clouds that are delivering the applications that businesses depend on, the technology landscape is changing faster than ever. InfoWorld's annual Technology of the Year Awards celebrate the products and services leading the way. 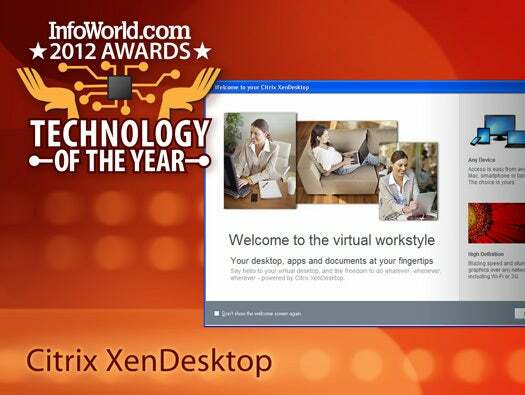 Click on for the InfoWorld Test Center's top picks among the products and cloud services we tested during 2011. The original one-stop shop for storage and data processing was hardly slowed by well-publicized outages and security issues, rolling out a slew of enhancements in 2011. An SMTP interface was added to Simple Email Service, bringing access to mail services without coding. S3 storage received server-side encryption, Simple Notification Services added support for SMS, and S3 object management and queue services were also improved. Developers gained AWS Toolkits for Eclipse 2.0 and Visual Studio, and new SDKs for Android and iOS, which support secure, token-based authentication for Amazon-hosted mobile apps. Finally, AWS CloudFormation and its growing number of sample templates make it easier than ever to get projects off the ground. It was with some waffling that we chose the AMD Opteron 6200 "Interlagos"-series CPU for a Technology of the Year award. It's not an out-of-the-box winner unless you're running the latest and greatest version of your chosen OS or virtualization hypervisor. Even then, "Interlagos" may not perform as well as you think it should. However, there's tons of promise in the newest incarnation of Opteron. Armed with up to 16 cores and incorporating arguably the most significant internal redesign since the original Opteron's NUMA architecture, "Interlagos" is poised to go far. Once operating system and virtualization vendors latch on to the new instructions and take full advantage of the new platform, the performance of threaded applications and workloads will soar. Hadoop clusters are sprouting faster than patent lawsuits between smartphone manufacturers, proving just how fertile open source software can be when the community falls in love. Hadoop itself is just the center of the ecosystem. Hive lets you ask queries of the entire cluster. Mahout applies machine learning algorithms to analyze your data. ZooKeeper coordinates everything. At least a half-dozen other projects come with names every bit as clever. There's no doubt the interest in Hadoop is burgeoning thanks to the proliferation of cloud servers. It's now easier than ever to spin up a huge cluster on Amazon, Rackspace, or your own collection of boxes and start churning through piles of big data for the answers to life, the universe, and everything. Every major mobile platform was revamped in 2011, but none comes close to Apple's iOS 5, especially when paired with the iCloud service that comes free with iOS (and the new Mac OS X Lion). From the richest gesture vocabulary to the most polished user interface, from automatic document syncing to carefree backup, the iOS 5 and iCloud duo untethers you from your PC and frees you from concerns over whether your data is backed up and whether you've brought your files onto the device you happen to have with you. You're liberated yet thoroughly connected at the same time, a powerful combination that goes beyond individual technologies and shows the power of creating a virtual ecosystem. Apple's iPad redefined the tablet in 2010 and created a popular new form of computing. A year later, Apple took that seminal product and made it even better in the form of the iPad 2, with display mirroring and faster, thinner, righter hardware. No wonder the iPad represents 96 percent of the business tablet market and has come to define the future of computing. The fall release of iOS 5 and iCloud took the iPad 2 further, creating an ecosystem for apps and services that Microsoft is using as the template for its own Windows 8 tablet strategy. It's easy to fall into Apple's marketing themes, but in the case of the iPad 2, "simply amazing" is the truth. Although the MacBook Air has been around for a few years, the iteration released in 2011 finally gave the lithe form factor the horsepower it needed. Instead of trading reduced performance and limited upgradability for extreme portability, the newest Air squeezes the engine of a MacBook Pro into the same sleek frame. The days of thick, bulky laptops are over. The MacBook Air has set a new standard, much in the way the iPhone and iPad rebooted our concepts of what a phone and tablet could be. Forget about IBM's Watson, which requires a mainframe for its artificial brain and can't have a live conversation with you. Apple's Siri can, all from a computer you carry in your pocket. Sure, Siri's voice recognition is amazingly accurate, easily beating that of Google's Android and Microsoft's Windows Phone. But Siri can do something no mobile voice command system can: Figure out what you mean. That's because Siri relies on access to the data on your iPhone 4S as well as on the Web, and then uses Apple's cloud servers to make inferences and correlate your context with what it knows. That's the real magic of Siri, which takes the first tangible step toward the "Star Trek"-style AI computer. CakePHP's everything-in-a-single-zip-file, super-simple installation opens a large box -- large enough for a neophyte to get lost -- but CakePHP doesn't leave you wandering. The framework espouses a "convention over configuration" philosophy: Put something (a class, say) in the right place in the directory tree, and CakePHP will know what part of the framework that something belongs to. CakePHP's "scaffolding" helps, too, quickly erecting functioning CRUD database access components you can later customize. Put simply, CakePHP does its best to simplify the difficult activity of building a PHP Web application. Although it cannot eliminate all the difficulties, what it achieves is done so well, you owe it to yourself to try it. Your next PHP Web application will thank you. When it's time to deploy a comprehensive VDI (virtual desktop infrastructure) solution, look no further than Citrix XenDesktop. XenDesktop is able to run on the top virtualization platforms -- Citrix XenServer, VMware vSphere, or Microsoft Hyper-V -- and scales well into the thousands of VMs, thanks to a highly efficient connectivity protocol, HDX, that self-tunes to handle varying network conditions and provide the best possible experience to the end-user. XenDesktop also has the edge in supporting all current forms of desktop virtualization -- dedicated, pooled, shared, streamed, and offline -- allowing administrators to suit the work styles and workload requirements of different classes of users while reaping the benefits of simpler, centralized Windows client management. CloudBees gives developers a cloud of build machines coordinated by Jenkins. When you commit your code to the repository, Jenkins triggers the cloud to execute all of the modules in your Maven build. The code is compiled, the documentation is rewritten, and the unit tests are executed. And that's just a few of the CloudBees modules that you can enable. Then the build cloud goes off to handle someone else's code. Builds don't need to take years on that puny desktop machine. When your code is ready, Cloudbees will host it from another collection of machines ready to deploy your application. It's a big pipeline that takes raw code in one end and dispenses HTML out the other. The Dell PowerEdge R715 server is an excellent piece of hardware for any business looking for high performance at a low cost. Built around AMD's 6100-series and 6200-series Opteron CPUs, with as many as 12 or 16 physical cores on each chip, the R715 is ready for any workload but shines brightest as a virtualization host. The 2U chassis can handle up to six 2.5-inch SATA, SAS, and SATA SSD drives, as much as 512GB of RAM, and a wide range of network interfaces, including 10GbE. The world of operating systems and hypervisors isn't quite ready for the Opteron 6200, but when it is, the R715 and the new Opteron will raise the price-performance bar even higher. Meraki puts a cloud-based twist on the management of wireless LANs. Instead of managing the network through a central controller -- yet another piece of hardware you must buy and maintain -- you manage it through the Meraki Enterprise Cloud Controller, a clean and polished Web application, hosted by Meraki. Setup is a snap. Managing APs across multiple locations no longer requires dedicated WANs, VPNs, or additional controllers. Admins can draw on handy features such as a Google Map of your APs, detailed reports on network usage, and the ability to set bandwidth limits on users or groups and quality-of-service policies by traffic type -- and no more headaches associated with keeping your wireless LAN patched and up-to-date. Anyone who's used videoconferencing for any length of time knows that talking heads don't add much value. 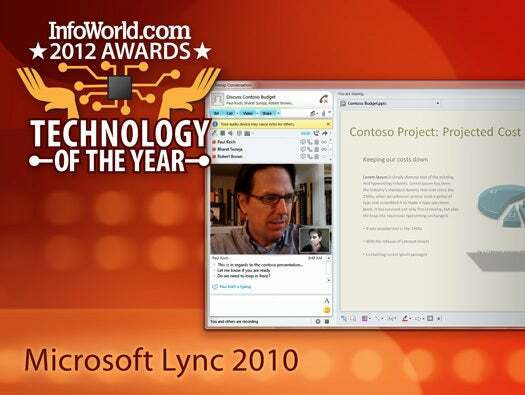 Microsoft Lync 2010 takes a dramatically different approach to live communications, weaving presence throughout the Microsoft Office experience. The ability to bend the communications path to the needs of the business -- with features like role delegation and ring groups to ensure that calls don't go unanswered, or private line calling or caller prioritization to ensure the boss or platinum customer always gets through -- is why Lync shouldn't be lumped in with traditional videoconferencing or Unified Communications solutions. The seamless integration of VoIP, videoconferencing, live meetings, instant messaging, and Microsoft Office makes the PC the new center of communications. In many ways, Microsoft Office 2010 is what Microsoft Office 2007 should have been, but it also shows how Office can continue to evolve and stay ahead of both open source and Web-based competition. Outlook 2007 was a bad mix of old and new interfaces; Outlook 2010 implements the ribbon consistently throughout, while adding a slew of new connectors for social networking. Excel 2010's full 64-bit support means you can use more than 4GB of RAM, so giant pivot tables are no longer a problem. PowerPoint 2010 has expanded options for video, including the ability to stream a presentation live. Finally, don't forget Office Web Apps, the online versions that give Google Docs a run for its money. For many small businesses, starting up a new network is a daunting and expensive task. Microsoft's Windows Small Business Server 2011 is an excellent way to hit the ground running with services and features usually reserved for the large network crowd. This bundle includes Windows Server 2008 R2, Exchange Server 2010, and SharePoint Foundation Server 2010, all at a deeply discounted price compared to the disparate servers. Management is also much easier. A single point of administration allows IT to create and maintain users, manage file shares and email accounts, and view reports and system health. It's too bad Small Business Server is limited to 75 concurrent users, but I guess Bill Gates still has bills to pay. The winner of our comparative test of sub-$5,000 NAS cabinets, the QNAP TS-659 Pro II was the top performer in almost every category. It's solidly built, it sports a well-designed GUI, and it has every bell and whistle you could possibly want in a small-business storage server (and then some). In short, the QNAP strikes the best balance among power, ease, and price in its class, and that's no easy feat in the competitive NAS marketplace. QNAP's MyCloudNAS remote access service and its iOS and Android clients are still works in progress, but QNAP is moving in the right direction. Although VMware vSphere 5 arrived a few months ago, it's too soon to crown the newest version of the widely deployed virtualization platform. However, VMware vSphere 4.1 handily beat the field in our virtualization shoot-out back in March. This wasn't a surprise at the time, but it was intriguing to see how far VMware's competitors have come. It may be that VMware has held the virtualization crown since the first x86 emulators appeared, but capable contenders are now vying for larger chunks of the lucrative virtualization pie. 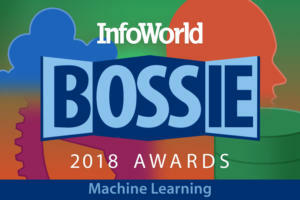 While VMware vSphere easily wins our award (again) this year, the contest could become much closer in the next 12 months. Web2py installs everything you need -- even a Python interpreter -- for building a Python-based Web application. Its creator's mission to build an easy-to-use framework extends throughout. Web2py's database abstraction layer allows you to manipulate a variety of databases without having to write any SQL. Once you've defined your database tables, Web2py will automatically build an administration interface for your app. In fact, Web2py's combination console and dashboard is where all your application development activities take place -- even editing your application files. Finally, Web2py lets you embed Python code into your Web page's HTML, so you don't have to learn a new template language. With all its built-in assistance, Web2py is as painless as it gets.